Coiled and heteromorph ammonites. The heteromorph ammonite is in the background, with a planospirally coiled ammonite in the foreground. 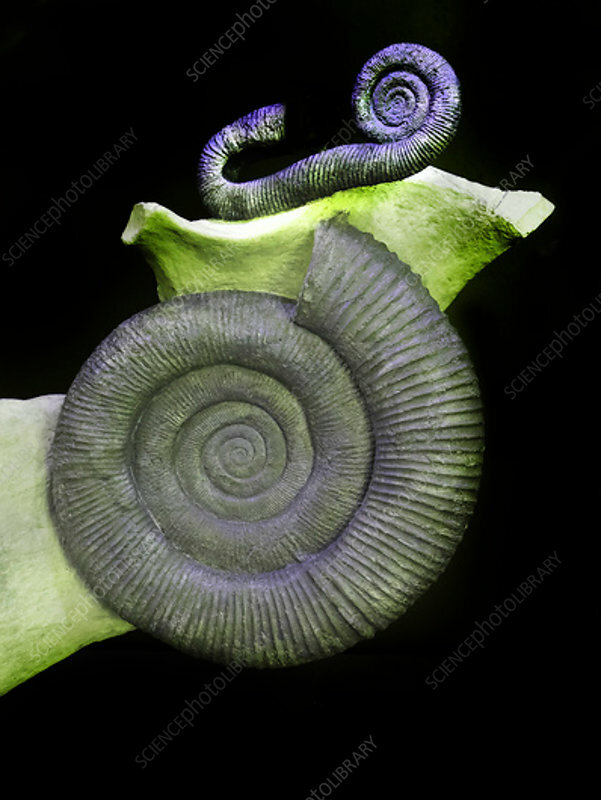 Ammonites were marine invertebrate molluscs that formed a spiral chambered shell, with the ammonite living in the newest and largest chamber. Shells ranged in width from under 1 centimetre to over 1 metre. Ammonites first appear in the fossil record around 400 million years ago and became extinct at the end of the Cretaceous period 65 million years ago.